Learn how to harness the power of social media for your small business! What comes to mind when you think of ‘small businesses’? What comes to mind when you think of ‘social media’? Small businesses have long been called the “life blood of America,” and for good reason. In 2014, small businesses brought in 1.4 million new jobs, with companies smaller than 50 employees accounting for 39% of that figure. Investing in small business was key to recovering from the recession of 2008 and 2009. As a small business owner, you’re probably aware of the integral role you play in the country’s economy. To reach your full potential, and to make the impact you strive to make, you have to utilize the tools in front of you. Social media for small business is one of the most accessible and most powerful marketing tools around, and integration with your marketing strategy is easier than ever. As your business grows, and as trends come and go, it can be challenging to decipher how to actively use social media to your advantage. At Farotech, we get that: you want to keep growing and improving and perfecting your small business’ social media, and we want to help you as much as we can. Coordinate your cross-platform branding – one of the biggest challenges with small business social media is keeping track of several accounts at once. From Facebook and Twitter, to Instagram and more, it can be difficult to consistently brand yourself. Platform integration is possible with some social media, but nothing beats taking that extra step to keep an eye on each account, making sure you’re staying consistent with your presentation, and the persona to whom you’re presenting. Strive for good reviews – going beyond just fishing for good reviews, you should focus on what it means to get a good review. A good review makes customers want to trust your business, and there is as much challenge in achieving that good feedback as there is in sharing it. Through platforms such as Yelp, you can provide a place for good reviews to grow, but don’t forget that you’ll still have to put in the hard work to earn them! 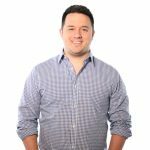 Strive for balance – in a social media campaign, it can be very easy to get carried away with the “introspective social media,” the kind of social media posts that only focus on your business and your brand. It can be great to share positive information about your company, but you can educate your readers with content beyond your website as well. Sharing informative articles or statistics helps you to become a thought leader in your industry, and is good practice towards cultivating an attractive professional presence online. 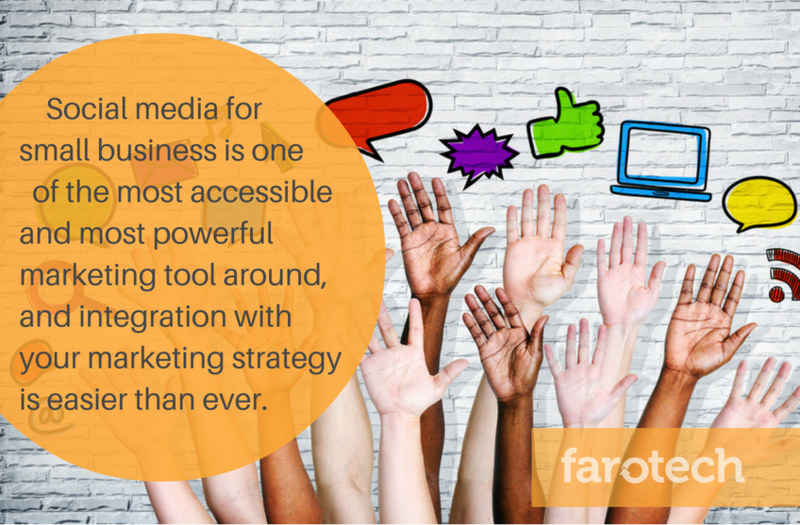 For more information on implementing good small business social media tactics, check out Farotech’s marketing blog.